The basics of all genealogical work are names. Names made by people; but every name contains two sciences: Onomastic and Ethnicity and that is what makes Genealogy to a kind of science and sometimes difficult. But lets go back and discover the basics of this fascinating hobby. Here it occurs to me to use to use this word hobby and apply to it the two above mentioned sciences: The English word “Hobby” corresponds to German “Liebhaberei”. So the ethnic quality of Hobby is English and of “Liebhaberei” is German. That’s easy. The Onomastic question is a bit more difficult and the easy part is the German form, it means: to love something; it is used as a verb, as to read, to bred horses, to watch birds, etc. and converts to a noun to describe these activities when they are not being part of the normal daily activities. Here we have a typical situation, which occurs very often in genealogical research, two explanations offered, free to choose. 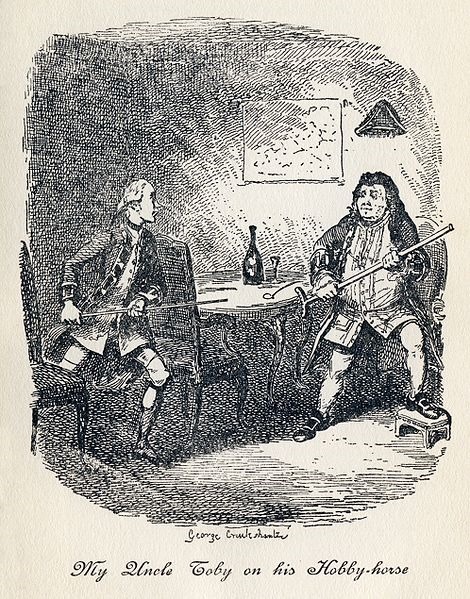 Of course you have to decide for “Tristram Shandy and uncle Toby”. 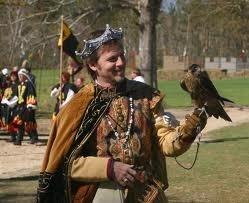 If you like “falconry”, you have to dig and proof without any doubt that your choice is valid. So the question how is the original name spelled? It is Beckenbach! Further there is a problem with ethnicity. Is this name French, English, Dutch or German? The American Government financed in 1930-ties a study, “Surnames in the United States Census of 1790”, which reports for example, that the the ethnicity of Maryland contains 208 649 persons and 11.7% are of German ethnicity (page 307). I tried to proof it with an very simple example: the muster roll of the French Indian War of 1757. It contains 1483 soldier names of Maryland. Without any doubt are 291names German and another 211 names most possibly German. That does mean that more than one third of this representative sample are of German origin. This is a difference of 22.o% to the official publication. Check this file with this link to Maryland Historical Magazine, muster roll 1757. As we see, sometimes it is very difficult to discover the explanation of a name and often it is even more difficult to detect and identify the ethnic roots of a name. And a final word to internet offers of Genealogy, all these web sites which offer family research assistance are more interested in subscription than in quality. And if somebody takes his time and checks these sites,he will discover that for one name set ( first and family names) completely different filiations are published.